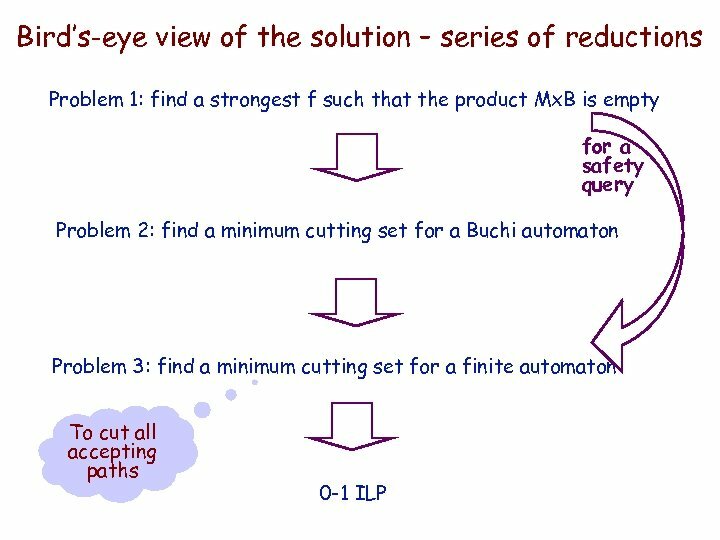 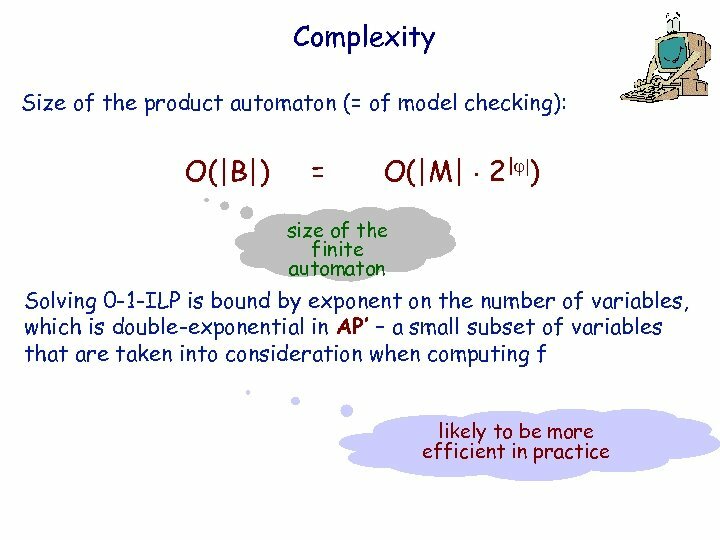 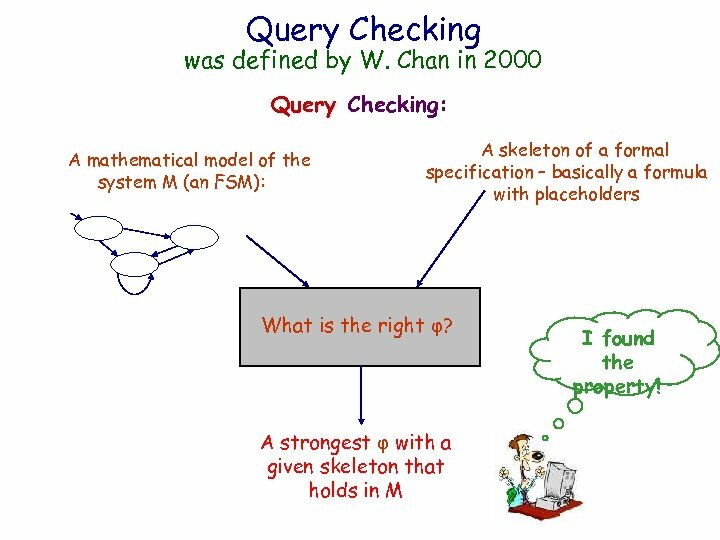 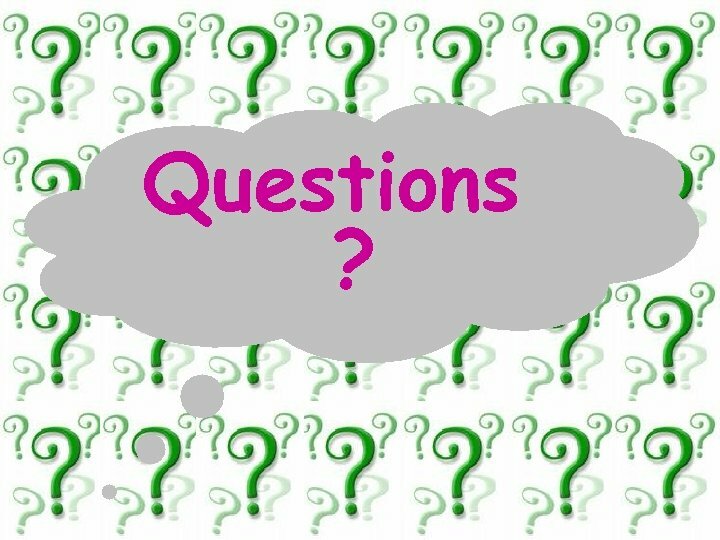 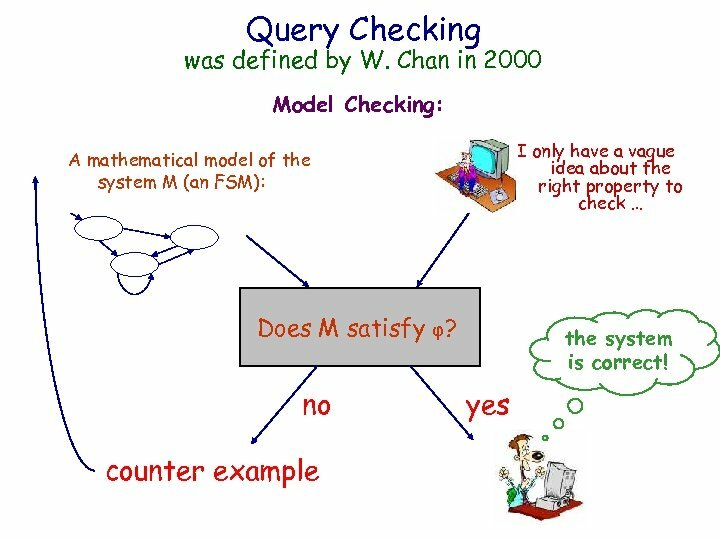 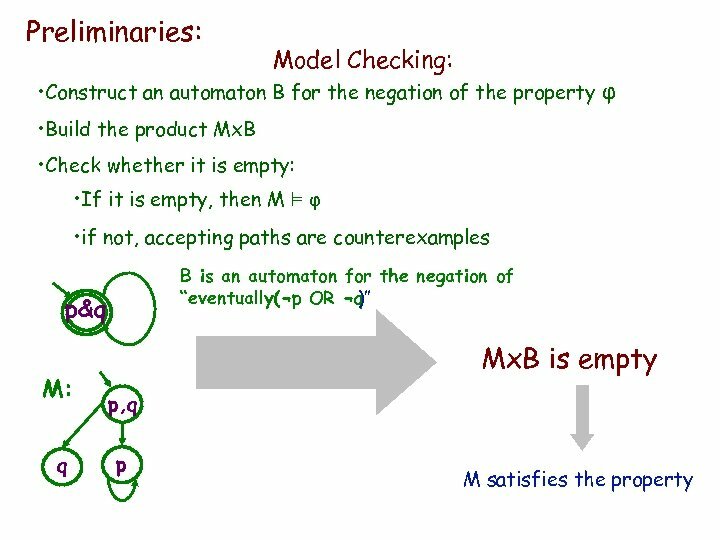 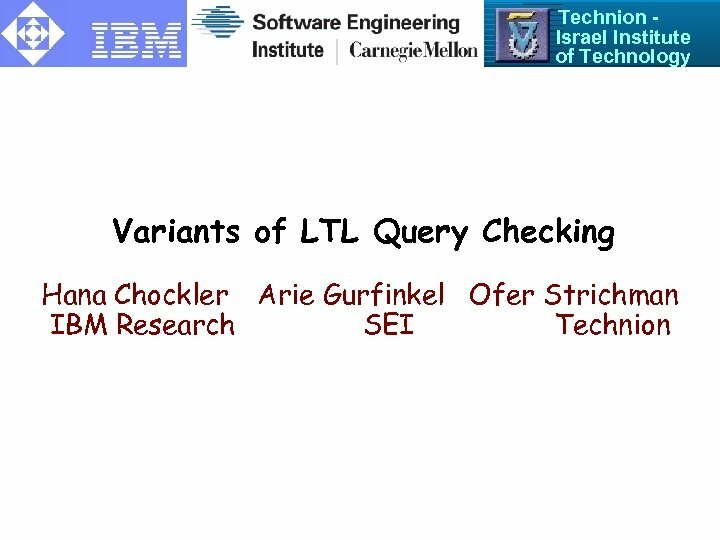 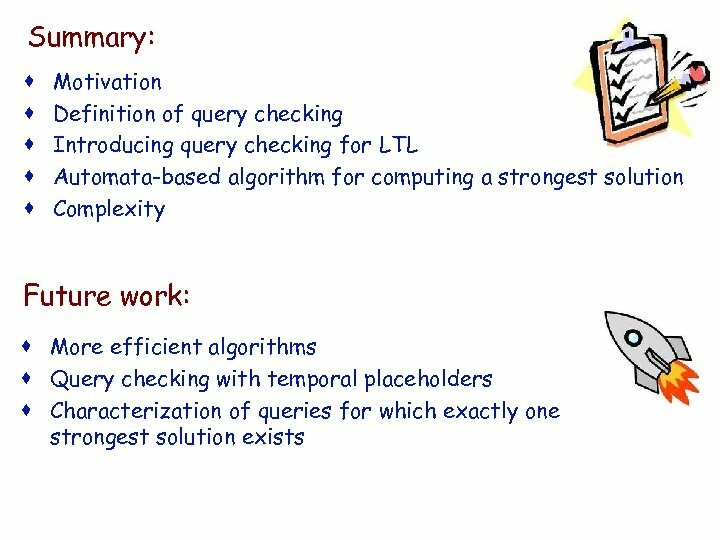 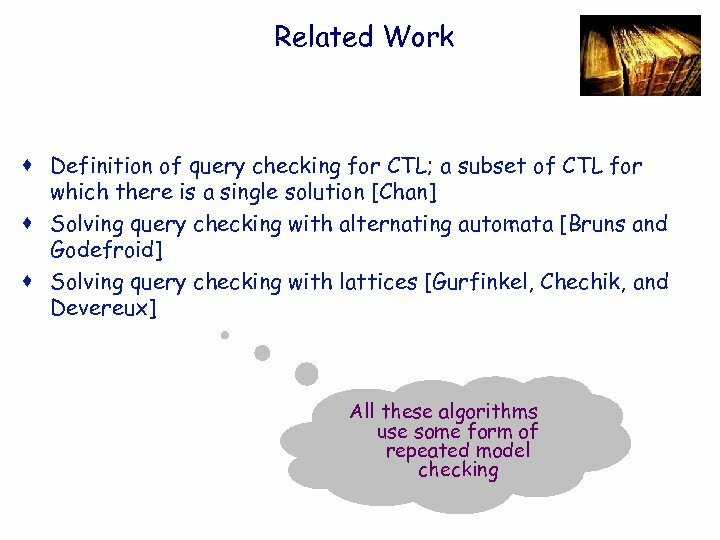 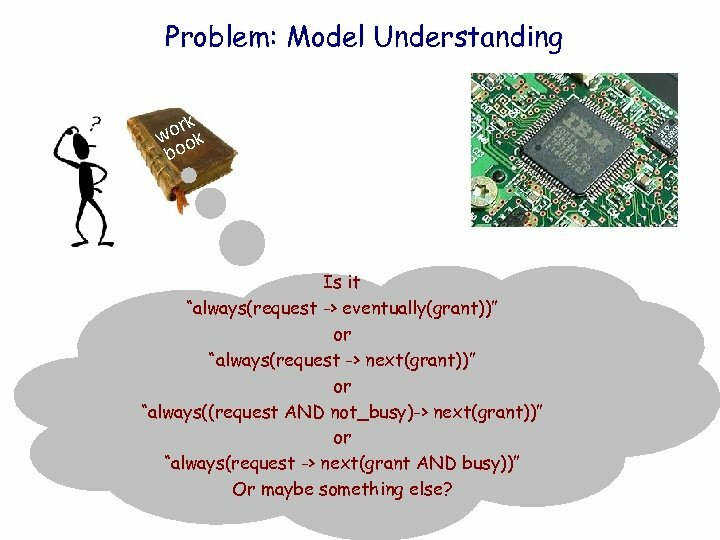 IBM HRL Query Checking was defined by W. Chan in 2000 Query Checking: A mathematical model of the system M (an FSM): A skeleton of a formal specification – basically a formula with placeholders What is the right φ? 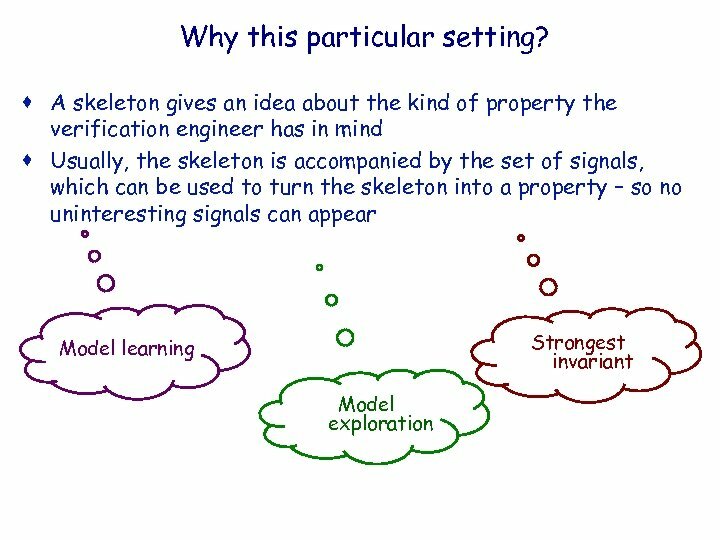 A strongest φ with a given skeleton that holds in M 6 I found the property! 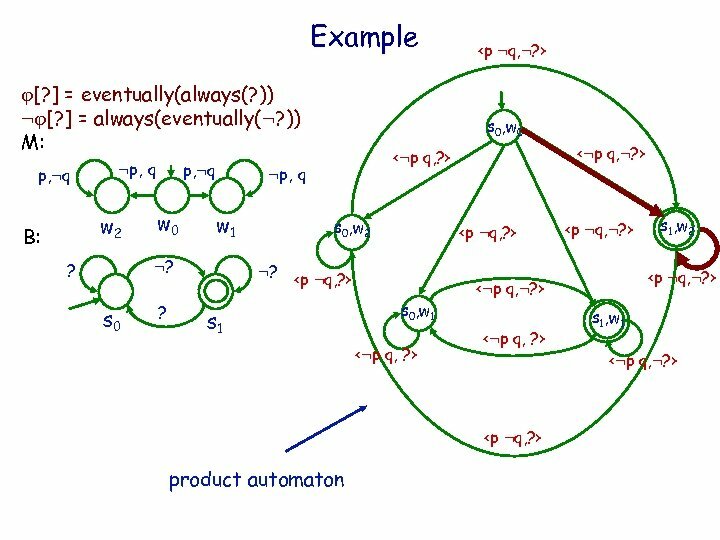 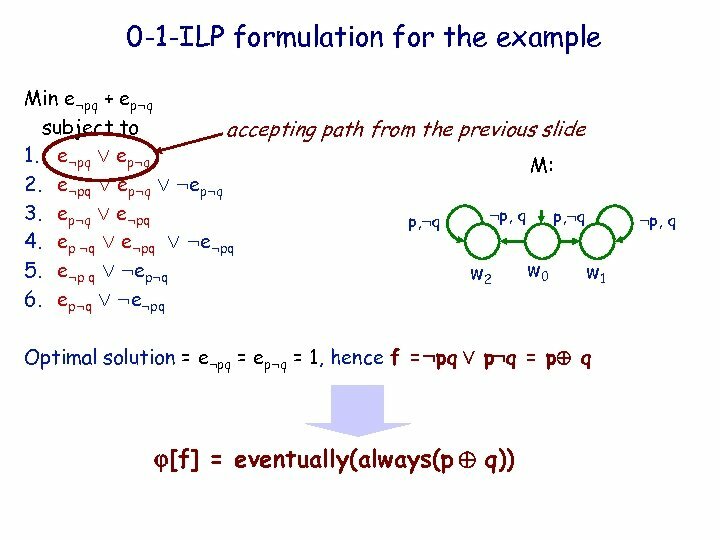 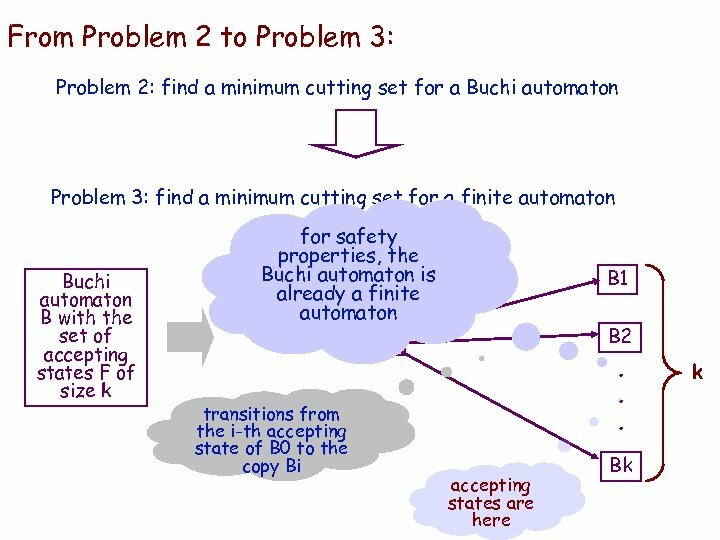 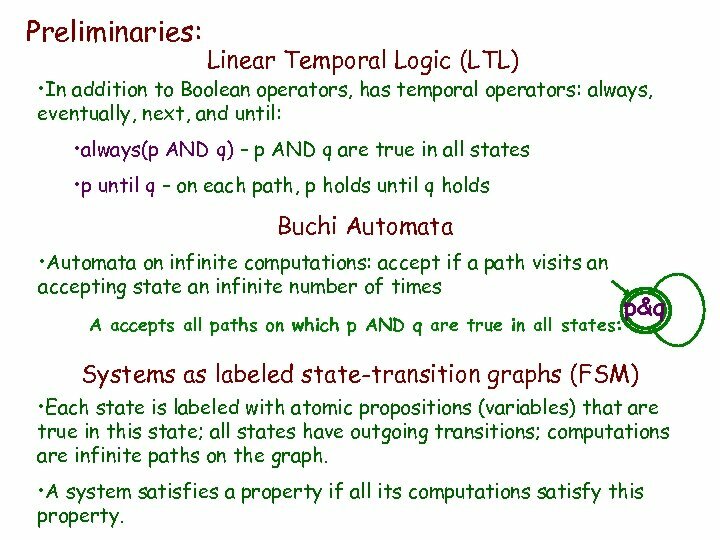 IBM HRL Preliminaries: Linear Temporal Logic (LTL) • In addition to Boolean operators, has temporal operators: always, eventually, next, and until: • always(p AND q) – p AND q are true in all states • p until q – on each path, p holds until q holds Buchi Automata • Automata on infinite computations: accept if a path visits an accepting state an infinite number of times A accepts all paths on which p AND q are true in all states: p&q Systems as labeled state-transition graphs (FSM) • Each state is labeled with atomic propositions (variables) that are true in this state; all states have outgoing transitions; computations are infinite paths on the graph. 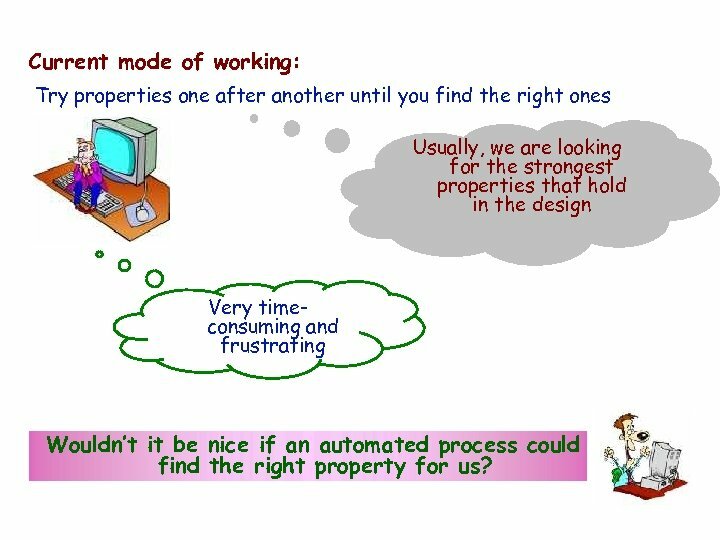 • A system satisfies a property if all its computations satisfy this 9 property. 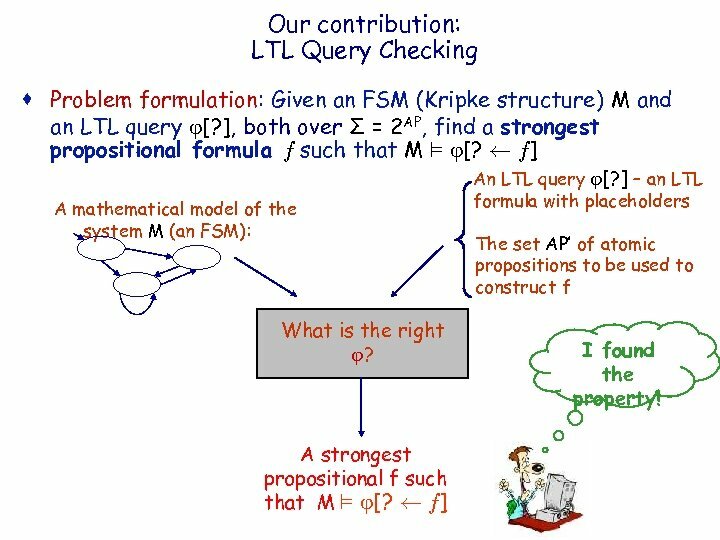 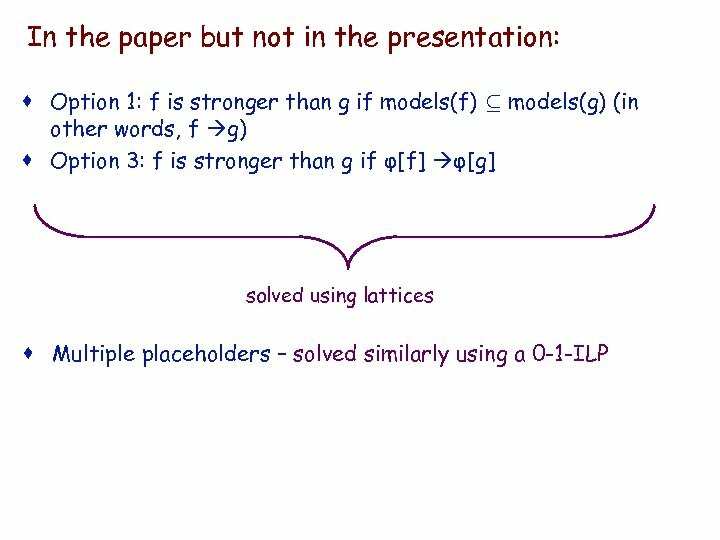 IBM HRL Our contribution: LTL Query Checking · Problem formulation: Given an FSM (Kripke structure) M and an LTL query [? 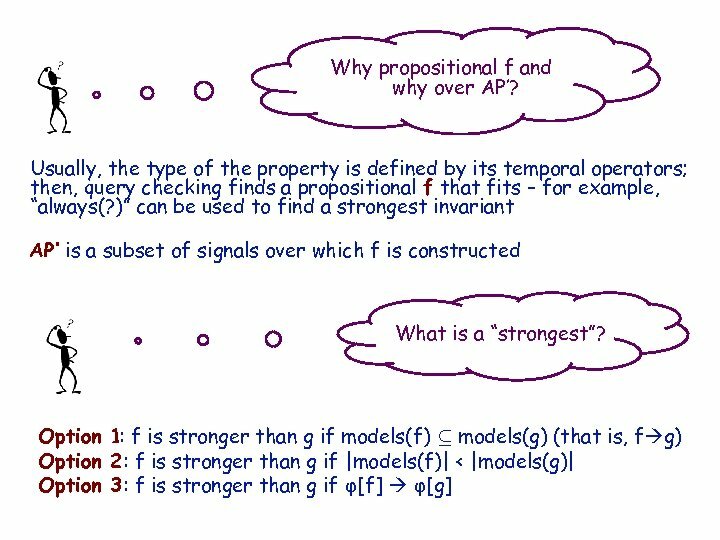 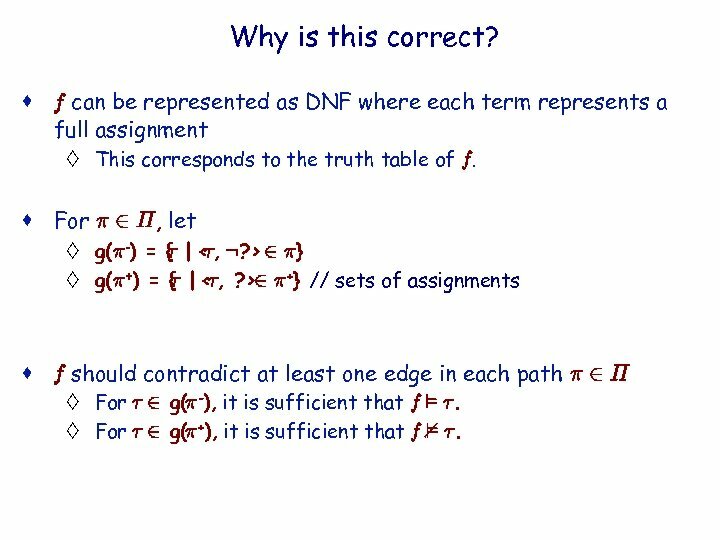 ], both over Σ = 2 AP, find a strongest propositional formula f such that M ² [? 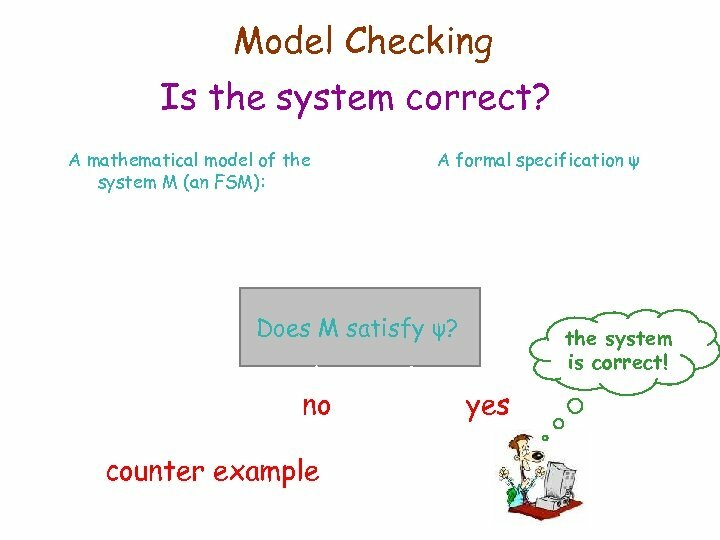 Ã f] A mathematical model of the system M (an FSM): What is the right ? 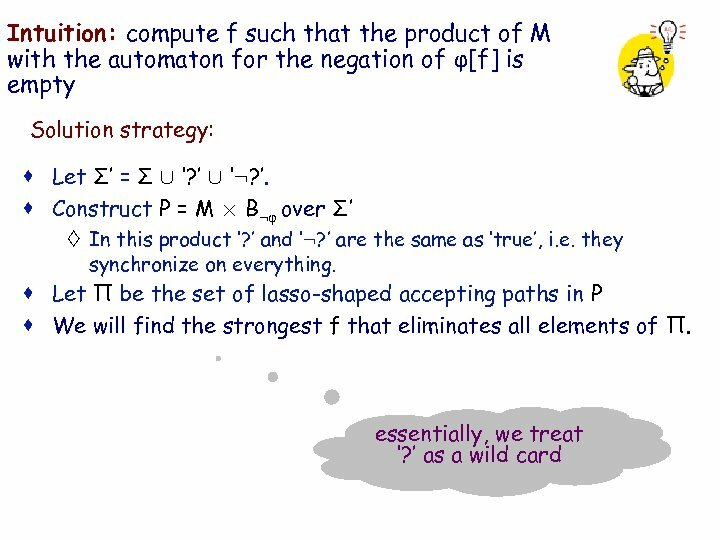 11 A strongest propositional f such that M ² [? 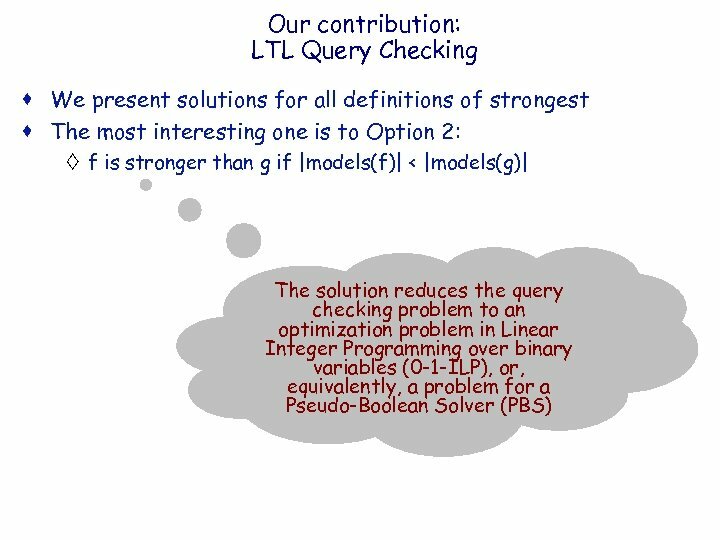 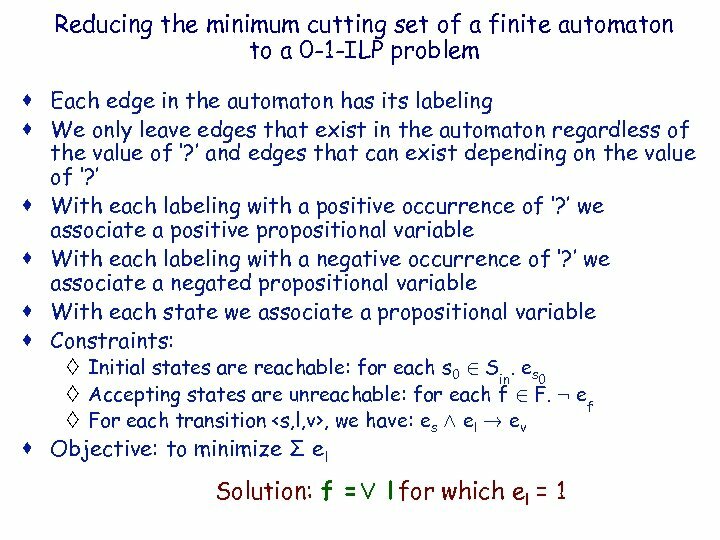 Ã f] An LTL query [? ] 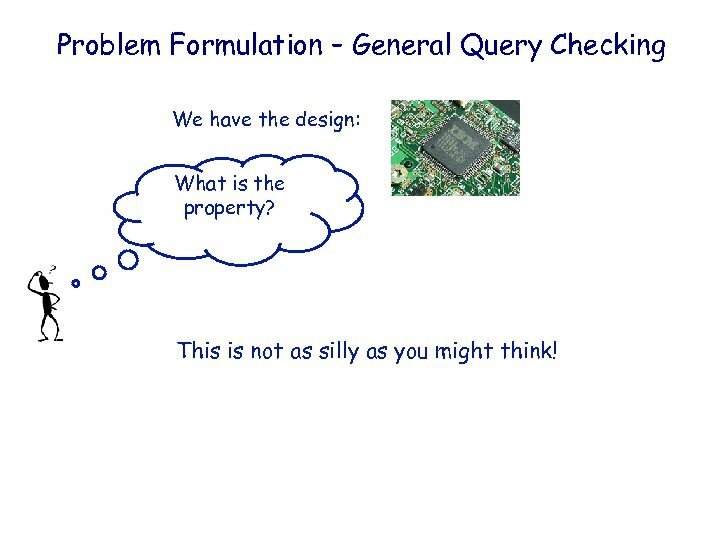 – an LTL formula with placeholders The set AP’ of atomic propositions to be used to construct f I found the property!